Green Star School Awards Program - Green Kids Now, Inc. 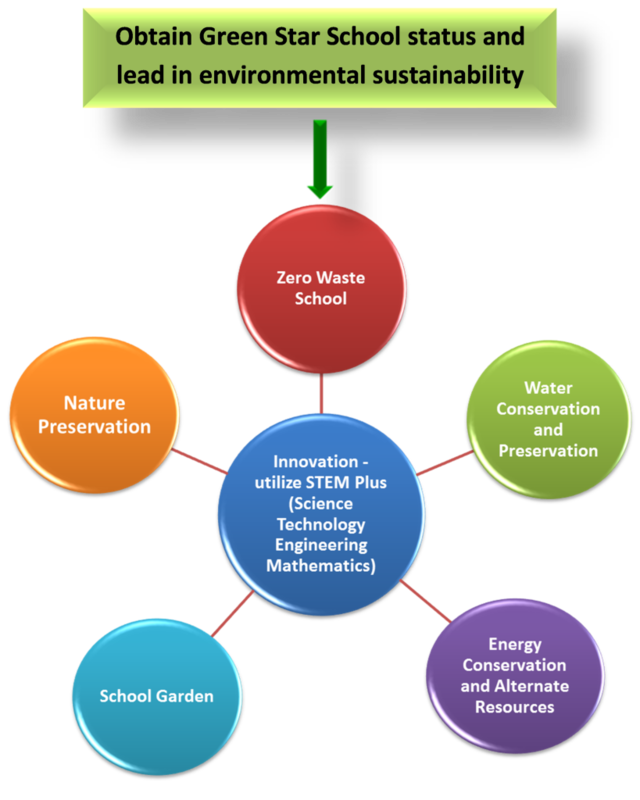 Become a 5 Green Stars School, and a Leader in Environmental Sustainability! Our program guides through the process in easy to follow do-it-yourself steps, for a school to obtain “Green Star School” awards, and shows how to become a leader in environmental sustainability, while preparing the kids to move in the path of responsible innovation. Millard Elementary school in Fremont Unified School District won their Green Star School Award for the Zero Waste School category. What is unique about our guidance? The uniqueness of our program is that our guidance is aimed at providing kids and school the knowledge, resources, and hands on experience, by utilizing their academic subjects and introducing the new methods of innovation. Our program shows how a child can get ready to go in the path of innovation using Environmental Science, Biomimicry, Project Management, and STEM(Science Technology Engineering Mathematics), while also incorporating leadership, team work, and collaboration. Our program encourages children to be the leaders, remain curious and be creative, and provide opportunities to utilize their critical thinking and problem solving skills. Children learn to observe nature, to appreciate and learn from nature, and understand that nature has indeed solved most of our technological problems in a much eloquent and sustainable way.